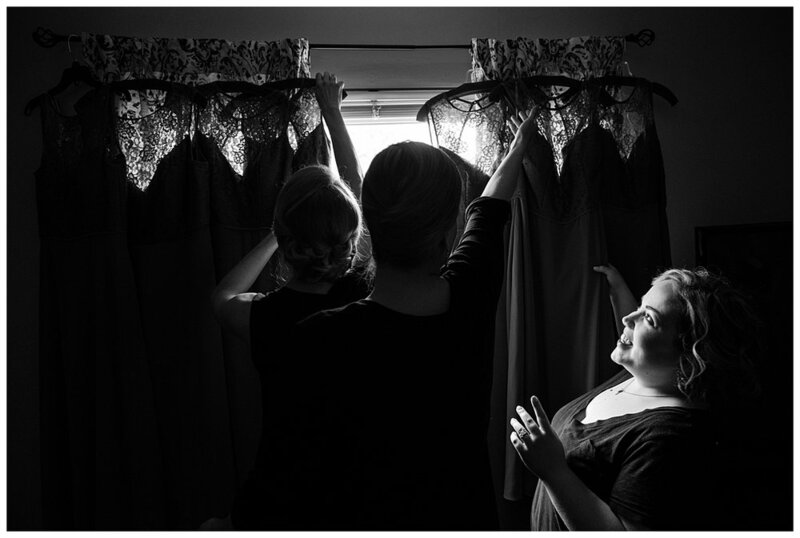 I booked this wedding because Jillian and Mike's original photographer got pregnant and could no longer shoot it. One of my own clients who works with Mike referred my name (thank you again Alyssa and Justin!) which worked out beautifully because Jillian and Mike were looking for a documentary-style wedding photographer. I was able to capture so, so many great moments because they let me document their day in a photojournalistic way. Jillian and Mike, I am so glad your original photographer got pregnant! Sorry (NOT SORRY) because I had an absolute blast with you both, your bridal party, and your families. Just look at all these beautiful people! Special shoutout to the talented Linnea for photographing this rainy day Duquesne wedding in Pittsburgh with me--plenty of her images are integrated below.